[German]Brief information for administrators of Windows 10 v1809 clients or Windows Server 2019 instances. There is an issue with the Security Baseline where a newly introduced SystemGuard Launch option can cause to a blank screen when booting a UEFI system. [German]In Windows Server 2019, administrators might run into unfamiliar issues. In SilentCleanup mode, Disk Cleanup deletes temporary folders referenced in the environment variables %TEMP% or %TMP% . [German]It seems there is a strange issue within Windows Server 2016 and Windows Server 2019. Sometimes NTFS permissions are getting removed for a parent folder, if a subfolder is deleted. Microsoft just announced the final release of the security configuration baseline settings – for Windows 10 October 2018 Update (V1809) and also for Windows Server 2019. 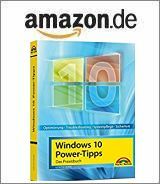 [German]Microsoft has re-released today (Tuesday, November 13, 2018) Windows Server 2019 (and Windows Server 2018 V1809). Here are a few details about that topic. Microsoft has released Windows Server 2019 evaluation to the general public. There is also a draft Security Baseline for Windows 10 V1809 and Windows Server 2019. Microsoft will offer a core version of Windows Server 2019, which comes without a desktop and is managed via PowerShell and Admin Center. But there is also a desktop version available.